You’re pregnant, nursing or trying to conceive, right? It’s not only time to buff up on the healthy things you eat, and to rid your skincare routine of harmful items as mentioned here, but, it’s also time to make sure your manicures are healthy and not causing you or your growing baby harm. Formaldahyde – has proven links to cancer and reproductive/developmental toxicity toluene. Formaldehyde resin:- Similar to regular formaldehyde, formaldehyde resin is a nail strengthener. Unfortunately, it is also a skin allergen and can remain active for up to three days after your polish has dried. While no link to cancer has been established for formaldehyde resin (in contrast to formaldehyde), it can cause dermatitis. Camphor – Camphor is a natural ingredient that can be found in aromatherapy but that doesn’t automatically make it safe! Exposure in large doses, especially through inhalation, can be toxic and cause irritation, nausea, dizziness, and headaches. 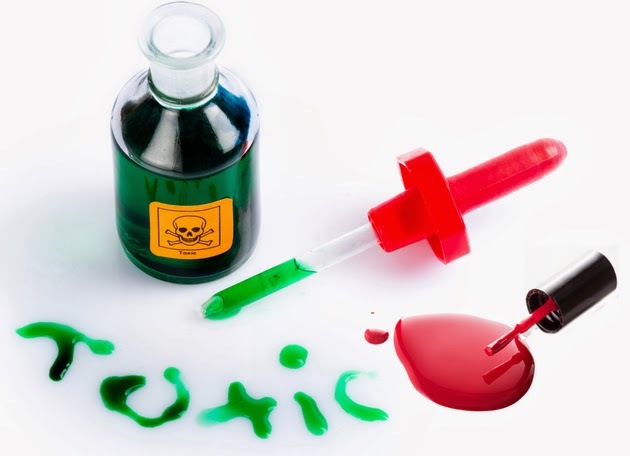 Toluene/methylbenzene – There is a high risk for developmental and reproductive toxicity, including brain and cell damage, when exposed to large doses of toluene, particularly when it is inhaled. Phthalates – Research says exposure might be linked to developmental and reproductive toxicity, particularly to male fetuses. They are usually found in nail/cuticle treatments, lipstick, anti-aging products, and fragrance. These chemicals can seep through your system right to your developing baby. Below are nail polishes brands that are free of the above-mentioned harmful ingredients. They are not only safe, but are also feature beautiful nail polish shades for use during pregnancy, breastfeeding or trying to conceive, and a great choice for your nails afterwards, too.